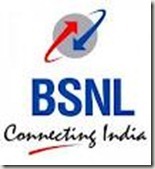 BSNL (Haryana Telecom Circle)| Govt. Jobs | Junior Telecom Officers | Last Date: 05 September, 2014. Education: BE/ BTECH (Telecom) from a recognized University. Posted in Disability / Physically handicapped, Disabled People, Government Job, Job After Btech, Physically Handicapped, telecommunication. Tags: 2014., BSNL (Harnataka Telecom Circle), Govt. jobs, Junior Telecom Officers, Last Date: 05 September on August 1, 2014 by kavita joshi. Engineering graduates from Chemical and Civil are given this government job opportunity by HIL (Hindustan Insecticides Limited) to serve in their company. The Safety Supervisor post is reserved for Persons with Disabilities. Educational Qualification Needed: Degree in Civil Engineering for a recognized Indian College/ Institution. Posted in Chemical, Civil, Disability / Physically handicapped, Disabled People, Government Job, Job After Btech, With experience. Tags: Chemical Engineers recruitment, Civil Engineers Recruitment 2011, Government Job BE/ Btech 2011, HIL, Hindustan Insecticides Limited, November 2011 on November 15, 2011 by Neeraj.